Barking is a completely normal way for dogs to communicate both with each other and with humans. They may bark when they are excited, stressed or anxious. Most owners would want their dog to bark in certain situations, for example, to alert them to an intruder in the house. However, barking can become a problem when it is too easily triggered or goes on for too long. Make sure your dog is not bored. Dogs may bark because they are attention-seeking and not getting enough mental or physical stimulation. It is vitally important to make sure your dog is getting adequate amounts of daily play, exercise, and training. For ideas on how to enrich your dog's life, I recommend that you read my article '5 Brilliant Ways to Prevent Dog Boredom'. Consider if your dog has an underlying medical issue or could possibly be in pain. If your dog has suddenly started barking without an obvious reason they may have an underlying health issue, such as a urinary tract infection or arthritis, and they are communicating to you that they are in pain. If your dog is elderly and has started barking there is a possibility that they have developed a degenerative condition, such as deafness or brain disease. If you suspect an underlying health issue then please make an appointment to visit your vet. Separation anxiety can lead to excessive barking. If the majority of your pet's barking occurs when they are separated from you then it could be that anxiety is the root cause of their incessant barking. Separation anxiety can be a complicated issue that I cannot cover fully here so I would suggest for you to read the ASPCA article on 'Separation Anxiety' for further information. Barking due to aggression. If your dog's barking is driven by aggression then I highly recommend that you speak to a qualified dog behaviorist for advice as these situations need to be taken very seriously as someone could get hurt. Whatever you do, don't shout at them! 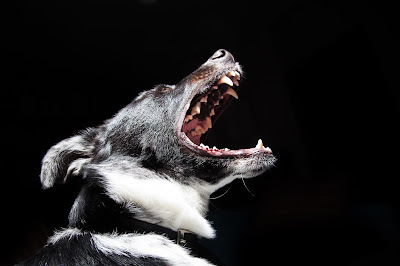 Shouting at your dog can make the situation far worse as your dog may think that you are simply joining in! This can be great fun for them and can encourage them to bark even louder. Also, if your dog is barking because they are attention-seeking and you shout at them, this is still giving them the attention they are seeking and can reinforce the barking behavior. Have you accidentally encouraged your dog to bark? Perhaps at some point in the past, your dog barked at you when, for example, they wanted your attention, wanted you to play fetch or wanted you to feed them and you responded by carrying out their request, thus leading your dog to learn that barking will get them the desired response from you. Never reward excessive barking with attention (including shouting at them) or feeding. Ask them to carry out a more desirable behavior first, such as 'sit' for a few seconds, before you give them what they want. Can you just ignore your dog? 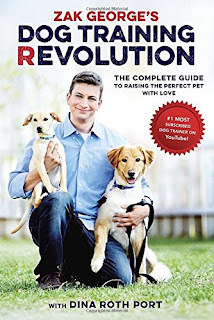 If you do decide to simply try ignoring your dog's barking, known as extinction training, then you must be really patient and fully ignore them when they bark, you must not even make eye contact with them. Be aware that sometimes the barking can get worse before it gets better when using extinction training, so it is worth persisting with and not giving up too easily. However, you should also be aware that in some situations ignoring them won't work at all and instead you will need to spend some time training them, which is discussed below. Remove the barking stimulus. Although not always possible, sometimes the simplest way to stop a dog barking is to remove their triggers. For example, if they bark at you while you are preparing their dinner, simply confine them to a different room until you are ready to feed them. If there is one window in the house where they stand and bark then you could prevent them accessing that area with a baby gate. The Carlson Walk Through Pet Gate is perfect and even has a small door for cats that can be left open if you don't want to restrict them from accessing the room. 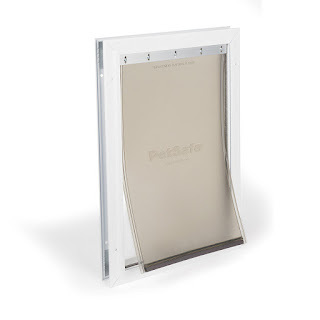 If they bark to be let in and out of the back door to go to the toilet, then insert a dog door flap, such as the PetSafe Freedom Pet Door. Removing the stimulus is more of a band-aid solution as it may only temporarily and superficially solve the problem for a short amount of time. Therefore, in order to truly address your dog's excessive barking, training sessions are important. If your dog barks to come in and out of the back door insert a door flap. PetSafe has a variety of 5* designs that are available on Amazon. Train your dog the 'go to your mat' command. This can be a really useful command to teach your dog, for example, if they bark when visitors come over to your house. In order to be successful, training sessions must first be carried out while there are no barking triggers. Only once your dog is reliably carrying out the 'go to your mat' command should you gradually introduce their barking trigger. 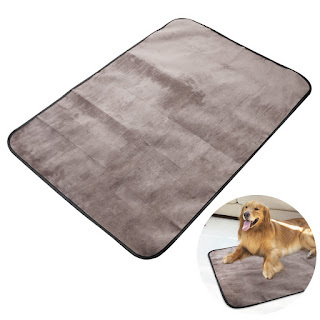 UEETEK Pet Blanket, that is soft, easy to clean and portable. Please watch the video below by Kelly Duggan for an excellent demonstration on how to teach your dog the 'go to your mat' command. Kelly also explains how to teach your dog to stay on the mat when visitors come over until you decide they can be 'released' from the mat to greet them. Don't forget, any treats you use in training must be taken into account for your dog's overall daily calorie intake. Teach your dog the 'quiet' command. When your dog is having one of their barking frenzies you can try patiently waiting until the first moment they stop barking for a second or two, then say 'quiet' and reward them with a treat. Each time they stop barking say 'quiet' and reward them. Do this over and over again and each time gradually increase the amount of time they must be quiet for between saying 'quiet' and getting a treat. Practice this every day and keep on increasing the amount of time they must be quiet for before they are treated. Another way, that might sound counter-intuitive, is to teach your dog to bark on command first, then teach them to be quiet. I highly recommend watching Zak George's video on how to teach your dog to bark and then also be quiet. 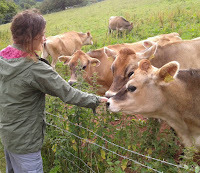 Desensitisation and counter-conditioning. Desensitisation involves gradually exposing your dog to the trigger that makes them bark, while counter-conditioning is associating the trigger that makes them bark with a more positive experience, such as receiving treats. The idea is to very gradually increase their exposure to their trigger, while you keep asking them to 'sit' and rewarding them with treats when they are sitting, focused on you and not barking. You may need to create artificial scenarios that are similar to your dog's trigger but below the threshold that will make them bark. For example, if your dog barks when people come to the door then first have a friend just walk past the front of the house while you ask your dog to 'sit'. Reward them with a treat when they are focused on you and not barking. Once you and your dog are comfortable with this situation you can then gradually intensify the scenario, for example, have your friend come to the front door but not knock. If your dog is doing well you can then ask your friend to knock just once, very quietly. If your dog starts to bark then just stay relaxed and either calmly ask them to 'sit' again or think of a way to take the exposure down a notch. I recommend watching Zak George's video to see him putting desensitization and counter-conditioning training into action. He also includes the 'failures' to show you how to handle the situation and readjust your thinking when things aren't going as planned. Calming Caps for car rides. 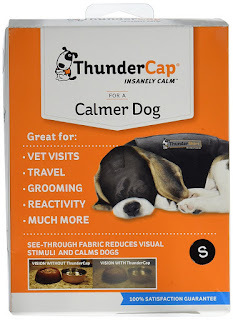 If your dog barks, for example, while in the car, you can try using the Thundershirt Calming Cap to cover their eyes. It is a see-through fabric that reduces visual stimuli and therefore can reduce barking. Some owners swear by calming caps while others find them useless, but I am presenting the option to you just in case it is the solution you have been looking for! to reduce visual stimuli and therefore barking. Pheromone diffusers and collars. If your dog is barking because they are anxious then some owners have had a lot of success with calming collar, such as the Sentry Calming Collar, that mimics pheromones lactating mothers gives off when feeding their puppies, or the Calm Me Down Collar, that is made from a blend of dried herbs. Some owners love them while others find them useless. 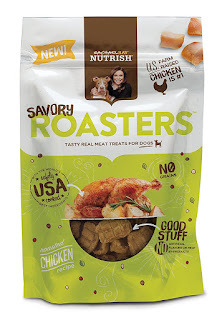 They may be worth trying and they are certainly much nicer than electric shock collars! 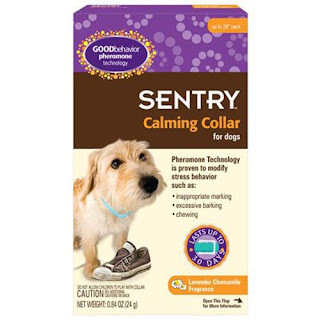 then the Sentry Calming Collar may help to relax them. Punishment is not recommended. Both verbal and physical reprimands, as well as both shock and citronella collars, can increase anxiety and stress in your pet. Your dog may stop barking at the time but these types of punishment are unlikely to stop the barking from recurring permanently. Collars should only be considered when all else has failed, including advice from a qualified behaviorist or veterinarian. You must be committed and consistent. Training your pet to respond in a new way to their triggers can take some time so don't be disheartened and don't give up if they don't get it straight away, it is a gradual process. You can always contact a professional dog behaviorist if you have tried everything and you are really at your wit's end. Make sure you are being consistent with your training, such as only rewarding the good behavior and always ignoring the unwanted behavior, and importantly, make sure everyone in the household is on board with the new training so that you are not sending your pet mixed messages. Prevention and avoidance of excessive barking in puppies. When bringing a new puppy into your home always teach them to be settled and relaxed from the very beginning. 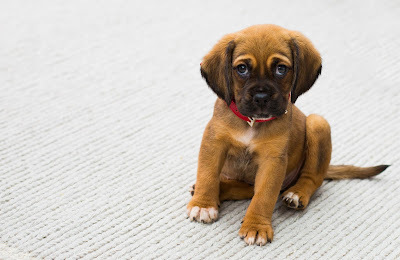 Make sure they are socialized with lots of different people and make sure they get used to as many different experiences as possible, for example, cars, children, visitors and other pets. Don't accidentally reward barking by carrying out the action they are requesting you to do, instead, have them sit quietly for a few seconds before giving them what they want. Also, let's not forget a little bit of barking is natural and fine, but that we must ignore them if they are barking excessively or inappropriately. Training is key to building a strong bond with your pet and will allow you to communicate with them, therefore I always suggest getting yourself an excellent dog training book, some tasty treats and practicing a little bit of training every day. A dog that is both mentally and physically stimulated is far less likely to bark excessively. Daily exercise, training, and play really is the key to a happy and healthy dog. a #1 Best Seller on Amazon. An excellent article. Full of practical tips and advice. If your dog is very upset, very sick or very nervous while riding in the car you will want to travel with your dog as little as possible.